Mutant Zoo! Bat + Deer! 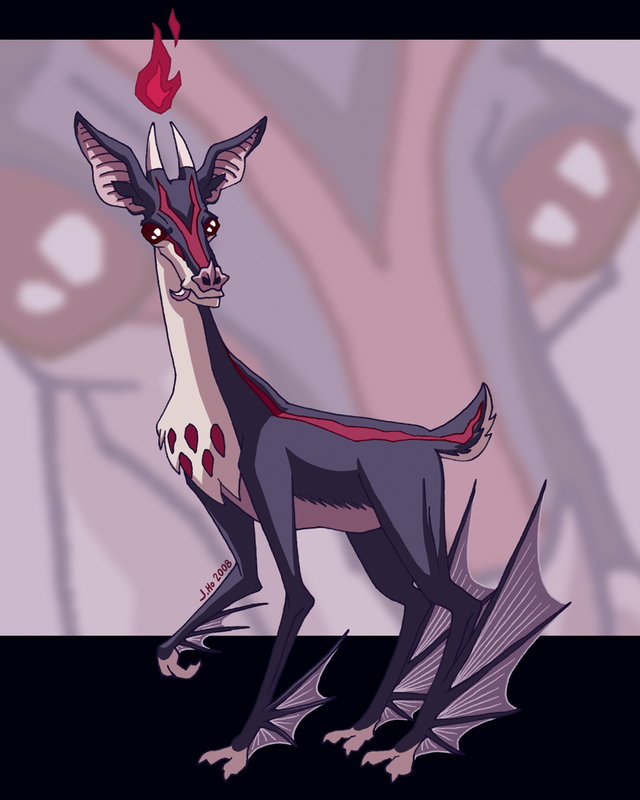 The horns and face markings are based loosely on the muntjac, and the tusks are based on the muntjac, as well as the more exaggerated tusks of a water deer or musk deer. The ears and nose are loosely based on a leaf-nosed bat. I wanted to try a drawing with super-thin lines (pass), and had a certain look in mind for the colors, but it really didn’t quite work out (fail). Be sure to check out Dreamwolf’s Deviantart page for links to other participants! Next > Mutant Zoo! Pug + Shark!